March 11 marked one year since the beginning of a radioactive accident at the Fukushima nuclear power plant. 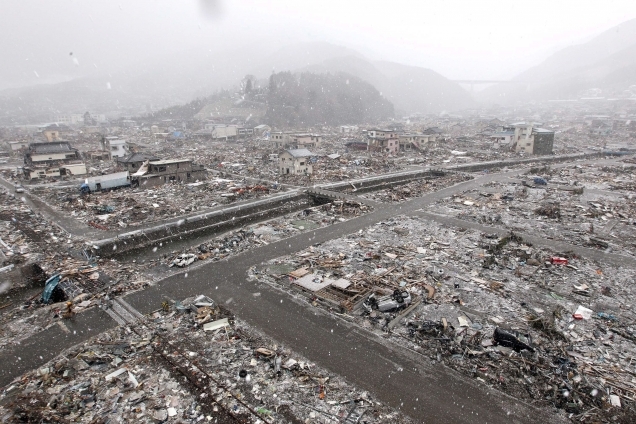 On March 11, 2011, Japan experienced strongest in its history earthquake, which led to numerous destructions and caused the tsunami. The disaster destroyed entire cities on the Japanese coast, and caused the accident at the nuclear power plant "Fukushima-1." Radioactive releases have led to contamination of large areas with radioactive substances. The Fukushima catastrophe has become the second major nuclear catastrophe in the history, along with Chernobyl, and caused damage to at least two million people in Japan – those evacuated from the 20-km zone and more than 1.5 million others living near the evacuation zone, whose property and business suffered. According to assessments by the European Committee on Radiation Risk, the Fukushima accident could lead to about half a million cases of cancer in the next two decades. In December 2011, a peer reviewed scientific journal «International Journal of Health Services» published an article which reported statistically significant increase in mortality in the western United States during the first 10 weeks after the start of radioactive releases from Fukushima-Daichi. In terms of the territory of the United States, it gives about 18,000 additional deaths due to the deaths of influenza and pneumonia. The Fukushima disaster confirmed fallibility of nuclear reactors safety calculations. According to the calculations, the reactor core melt accident can happen only once in a million years. In fact, over sixty years of nuclear power, such accidents have taken place with six reactors already: Windscale (UK), Three Mile Island (USA) and Chernobyl (USSR) and the three nuclear reactors at Fukushima-Daichi (Japan). Fukushima tragedy has forced many to reconsider plans for nuclear power development. Japan has announced phasing out of nuclear energy. Germany stopped half nuclear reactors in the last year and plans to completely abandon nuclear power by 2022. Switzerland and Belgium have made their decisions to phase out nuclear power and adopted phased action plans. Italy voted in a referendum against the return to the use of nuclear energy. Rosatom, the Russian nuclear agency, has not learnt any lessons from the Fukushima nuclear disaster: the most dangerous and old reactors are not stopped, experiments to prolong their operation continue, plans to build new nuclear power plants have not been revised. Russian Socio-Ecological Union calls for an end to subsidies for nuclear power. RSEU consistently opposes the plans for construction of new nuclear reactors and extending operation of old ones, as well as for their gradual decommissioning.